Step into the water in style with Geronimo 1605p1 swim shorts. With plenty of comfortable leg room, you’ll feel as good as you look! Formed in a trendy truncated cut and made of an extremely soft, quick drying, lightweight fabric, these trunks are the definition of cool. Simple, yet fashionable colours and style, suitable for every occasion. The swimsuit feature a mesh support brief, two side pockets and a back pocket with drain hole. 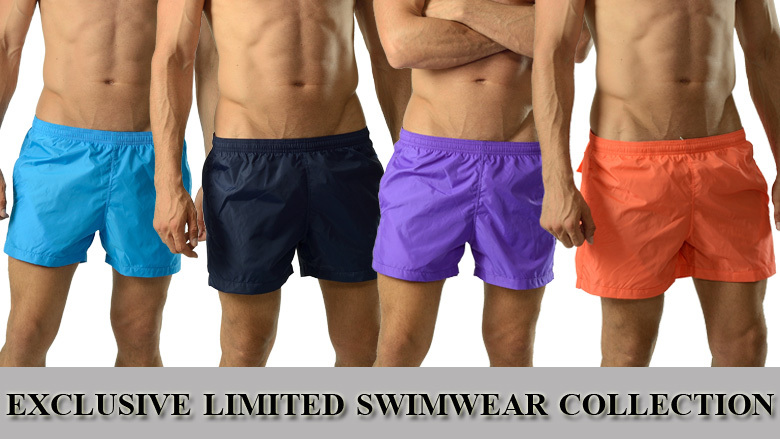 Available in a variety of cool colors, they’re far too stylish to wear only while underwater. ← Previous Previous post: Black Friday SALE Going On NOW at Concupisco! Next → Next post: Happy Easter – Get 35% off Entire Store!! !